The Senior Men and U14 and older boys youth age groups begin their winter training sessions at Whitmore High School (HA2 0AD). Taking place on Tuesday, the Seniors 7.30-9.00pm (contact Dennis Diggins 07768 352680) and the Youth from 7-8pm (contact Tony Griffin 07966 160999). Diary Dates: The Dinner Dance date has now changed and will take place on the 14th April 2018 at The Claddagh Ring. Tickets still available, if you would like to attend, contact Tony Griffin on 07966 160999 or Veronica Bailey on 07768 635534. The Youth’s U12/13 ‘Trip to Tipp’ is all set to go. Flights booked and the exciting and packed itinerary in place which will be available soon. The club would like to extend their condolences to Dan and Nancy O’Connor on the sudden loss of their daughter Ann O’Connor who recently passed away. Sister to Steve and Maggie and a lovely lady who has left us too soon. Our thoughts and prayers are with them and may she rest in peace. 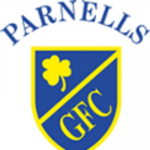 Parnells Senior AGM on the 26th February 2018 at The Green Man, Kingsbury at 8pm. Next Youth Meeting on the 6/3/18, same venue at 8pm.